WHAT'S INNOVATIVE AND POSITIVE IN THE PITTSBURGH REGION. eBillingHub(tm), the defacto leader in simplifying law firm electronic billing, today announced that Greg Coticchia, CEO, will be a featured panelist this week at Pittsburgh's 'Entrepreneurial Thursday', a weekly forum for Western Pennsylvania entrepreneurs. eBillingHub recently announced record results for fiscal year 2008, highlighted by a 156% increase in its customers and a 212% increase in earned revenue over fiscal (calendar) year 2007. In addition, the eBillingHub processed over $1billion dollars USD in law firm electronic bills in 2008. Coticchia's discussion at this week's Entrepreneurial Thursday will focus on how the eBillingHub operational organization has built and continues to grow an online, business to business (B2B) software success, despite the economic challenges all businesses face. What: Panel Discussion: "Online Business Entrepreneurs"
Greg Coticchia, CEO, eBillingHub, has over twenty five years experience in high technology products and services and is considered to be one of the best marketing executives in the technology business. He has lead or been a major contributor in two of the largest and most successful software companies in the world, LEGENT (now CA) and AXENT (now Symantec), in addition to participating in eight start-ups including being a founder of one. His work at the eBillingHub over the last six years (four as an advisor, two as CEO) have contributed to the company's growth, awareness and market leadership. Coticchia has twice served as both CEO and COO of start-up companies, and has been involved or responsible for the launch of over 100 products and solutions, and several companies, including the eBillingHub. His publications and presentations on marketing strategy and product management have recognized as both visionary and thought-provoking by leaders in the technology business. Mr. Coticchia has served on many boards, assisting senior management with strategic planning and other critical initiatives, and has been recognized for his work and contribution in his service to these organizations. A graduate of the University of Pittsburgh in Industrial Engineering where he also received his MBA, he currently teaches both business-to-business marketing and entrepreneurial leadership at the University Of Pittsburgh Katz School Of Business. Mr. Coticchia has also been an instructor for Duquesne University School of Leadership, and the University of Phoenix, and guest lecturer at Carnegie-Mellon University. In addition to his many recognitions and awards from the businesses he has served, Coticchia was named as a finalist three times for the Ernst and Young Entrepreneur of the Year Award and for the Tech 50 CEO of the Year. 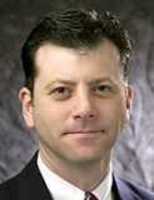 Recently he was named a 2006 Distinguished Graduate of the University of Pittsburgh, Katz School of Business. In its eighth year of weekly shows, the Entrepreneurial Thursday Jazz, Soul & Blues Happy Hour Show, 'Entrepreneurial Thursday' is the Pittsburgh region's most consistent, spontaneous and unique networking forum for the entrepreneurial and innovation communities. Created by Jessica Lee, a successful entrepreneur and musician, to promote live music in downtown Pittsburgh and to assist the entrepreneurial networking of the Pittsburgh region with funding and partnering opportunities, the show is now poised for continued high growth and service to the region's artistic, entrepreneurial and economic development communities. The casual, weekly social and networking event features live jazz, soul and blues performance (by vocalist/host Jessica Lee and special musical guests) to enhance networking of the entrepreneurial and innovation communities and to serve as a back-drop to Jessica Lee's mid-show, open-mike interview session with hot entrepreneurs, financing sources, economic development thought leaders and other business stars around the theme of "WHAT'S INNOVATIVE AND POSITIVE IN THE PITTSBURGH REGION." eBillingHub, The eBillingHub, TEBH, and EBH and are trademarks or registered trademarks of eBillingHub. All other trademarks contained herein are the property of their respective of their respective owners.